A Scotland Yard Inspector hunts a serial killer menacing Victorian London. With its fog shrouded streets, music halls and serial killers on the prowl, few period locales lend themselves so well to cinema as Victorian London. Yet save for a few interpretations of Sherlock Holmes and a handful of mid 20th century British b-movie bodice rippers, it's been largely squandered on screen, and we're still waiting for the definitive Jack the Ripper movie. Too often Victorian London is cheaply employed as a setting in the hopes it will lend some gloomy atmosphere to an otherwise lacking production. 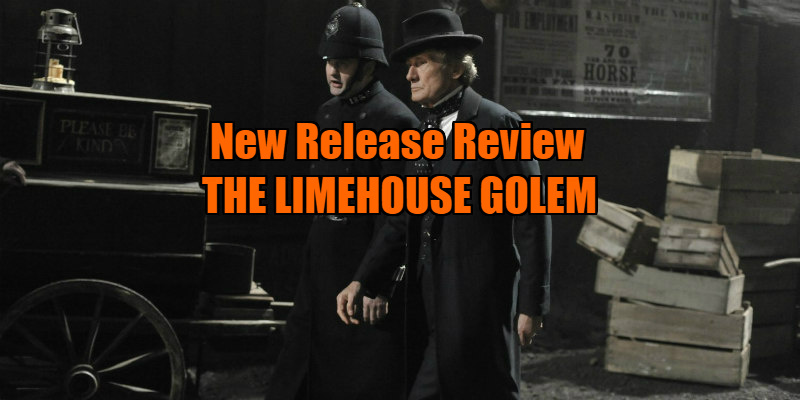 That's the case with The Limehouse Golem, the sort of talky, plodding period thriller that would be more at home on UK TV on a Sunday evening rather than in multiplexes. Based on Peter Ackroyd's novel Dan Leno and the Limehouse Golem, director Juan Carlos Medina and writer Jane Goldman's adaptation premiered almost a year ago at the 2016 Toronto International Film Festival, and its protracted arrival speaks volumes about the lack of enthusiasm for this production. Lazily 'inspired' by the exploits of old Saucy Jack, The Limehouse Golem once again sees Victorian London terrorised by a serial killer. As with the Ripper case, this one involves prostitutes, Jews and society figures. Investigating the murders is Inspector Kildare (Bill Nighy), whose Scotland Yard career has been held back by rumours that he's "not the marrying kind!" Kildare narrows his quest down to four suspects, all of whom frequented a reading room at a London library. The quartet includes three real life figures - the prolific novelist George Gissing (Morgan Watkins), music hall comic Dan Leno (Douglas Booth) and no less than Karl Marx (Henry Goodman) - along with a fictional addition, struggling playwright John Cree (Sam Reid). The movie begins with the death of the latter, which appears to rule him out as the killer - or does it? Charged with his murder is his young wife Elizabeth (Olivia Cooke), whom Kildare takes an interest in, believing her innocent of Cree's killing. The bulk of the film involves flashbacks as Elizabeth tells the story of how she went from a street urchin to a performer in Leno's troupe, where she met her future husband. The titular killer's reign of terror actually ends before the point the story picks up, which removes practically all of the threat from the film, leaving us to simply observe a story being related in humdrum fashion rather than becoming immersed in the mystery. Goldman's script (and perhaps the source novel?) pays lip service to several very modern concerns, which jar with the period setting, and are never fully explored. The killer adopts the guise of The Golem after stumbling across the mythical creature in a book of Jewish folklore. This would seem to be a commentary on cultural appropriation, but like the killer, the film seems to have borrowed the concept simply because it makes for a catchy title, with practically no exploration of the anti-semitism of Victorian London that saw the city's Jewish populace demonised during the Ripper's reign. Kildare is a great detective, we're told, but his career has been ruined by homophobia. However, from what we actually see of Kildare's work, he's a pretty terrible detective, and most viewers will guess the identity of the killer long before he does. Nighy's unique talents are wasted in a sedate role that never allows for his trademark dry wit, and the actor looks thoroughly bored throughout. The film also touches on the injustice of how killers become famous while their victims are forgotten, but again, this is an idea that's really just thrown out there and never investigated in depth. The Assassination of Jesse James this ain't! Medina's drab film is occasionally enlivened by the music hall interludes, which are as primitive and bawdy as you would expect, but Cooke really throws herself into them, displaying a side of the young star we haven't seen before. Bored with The Limehouse Golem, I begin to daydream how great a remake of My Fair Lady with Nighy and Cooke could be. Spanish filmmakers have an impressive pedigree in the British horror film - Jose Ramon Larraz's Vampires, Jorge Grau's The Living Dead at the Manchester Morgue, Jess Franco's Jack the Ripper - but Medina fails to convincingly follow his predecessors down London's cobbled streets. 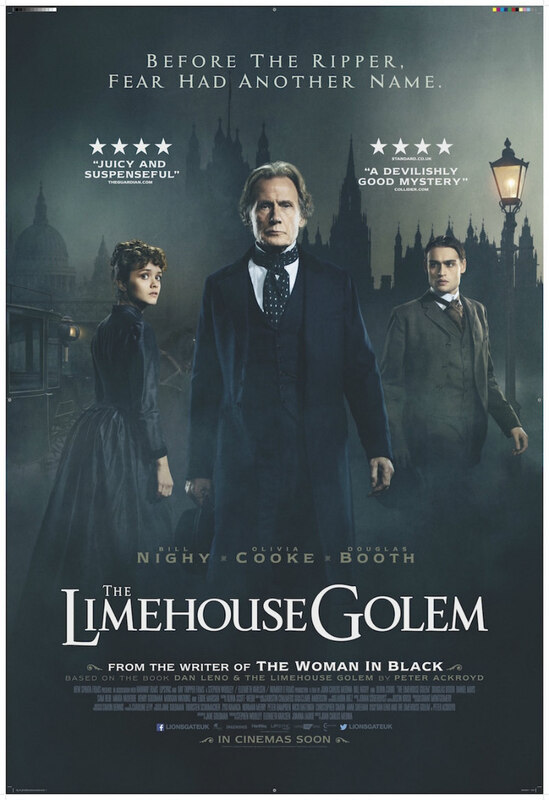 The Limehouse Golem is in UK/ROI cinemas September 1st.